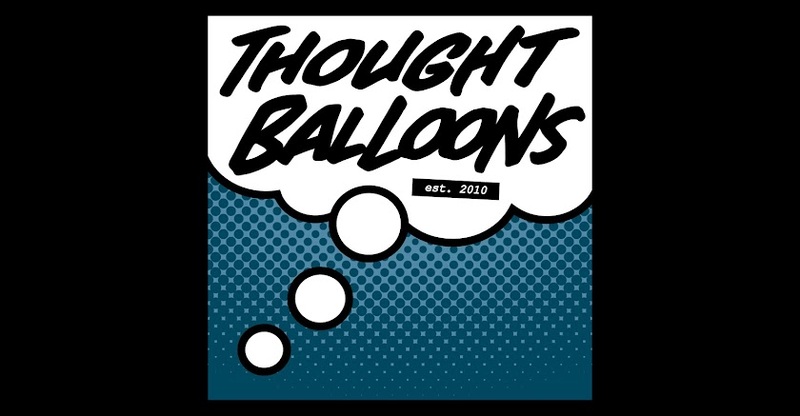 Thought Balloons - Creating Comics One Page At A Time: Why Doctor Who? We’ve known each other for a while now. You’ve read my words, I’ve read yours. You’ve given me 3 stars, I’ve cried myself to sleep. We’re buds, right? I can tell you anything. Here’s a secret that may get me kicked out of the Comic Society forever – I have only just begun to watch Doctor Who in the last six months. It’s not that I was actively trying to NOT watch it, I just never got around to it. I was interested in the good Doctor for years, but not enough to seek it out. Then along came Christopher Eccleston, and I took notice. 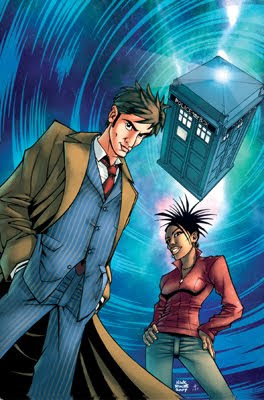 He regenerated into the charismatic David Tennant, and I watched a few episodes sporadically. Then came a chap called Matthew Smith, whose brilliance in playing the Doctor got me well and truly hooked. I decided to give the show a go – just as the Neil Gaiman written episode debuted. It was fate. Then I saw Karen Gillan. Needless to say, I have watched every episode since, and have begun purchasing the Eccleston season. I will watch them all, but for now I will do my very best to pay tribute to this sci-fi icon in the only way I know how – writing a 3 star script for all of you to devour with your eyes. Hey, you're probably better off than me, seeing how I don't really watch Dr. Who ever and really don't have any plans of doing so any time in the near future. Dr. Who – Bird Of Prey – Shaun Richens. Based on a 9 panel grid. 1.We see the curve of a planet not unlike earth; the rest of the panel is filled with the darkness of space and the light of the stars. 2.Same as 1. Curving around the planet is the outline of something huge and monstrous, it looks like the talon of a bird. 3.Same as 1. The huge monstrous bird like talon is tightening on the planet, as it comes in to grip the world in its hand. 4. A huge futuristic alien cityscape dominates the panel. At the top of the panel the shadow of the great talon grows in the sky. In the centre of the panel a bright white outline of a tiny box can be seen. 5.We pull in tight on this box shape. It is the Tardis, it has just materialized on to the planets surface. The door is open and we see the Drs leg as he goes to step out. The Tardis and the whole city are nearly all covered in shadow from the Talon. 6. The Dr. stands heroic in front of the Tardis. His coat and scarf blow to one side in the breeze. In one hand he holds his sonic screwdriver the other hand is flat over his brew helping him see as he looks up into the sky to see what is making the huge shadow. THE DR: Ah, glad to see I’m on time. Shaun, not a bad page but it also doesn't capture me too greatly. A smug Dr laughing in the face of danger. This is well executed on the page but the content does nothing for me. Have to agree with Mr Ryan here. The image of a bird carrying a planet is impressive, but apart from that the page does read rather monotonously.